According to the police officials, Rekha Modi is accused of purchasing huge jewellery gifts from the kingpin of multi-crore Srijan scam that is being probed by the CBI. The Income Tax Department on Thursday raided the residence of senior Bihar Deputy Chief Minister Sushil Kumar Modi's sister, Rekha Modi, who is one of the accused in Rs 1,900 crore Srijan scam, police said. "A team of the IT Department raided Rekha Modi's residence -- a flat in Saraswati Apartment at posh commercial S.P. Verma road here. The team conducted searches in connection with the Srijan scam," a district police official said. After Rekha Modi's name surfaced in Srijan scam, opposition RJD attacked Sushil Modi, saying his family had links with those accused in the scam. 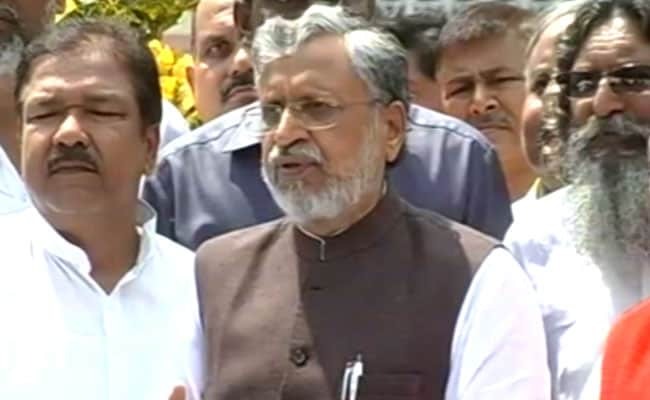 Leader of the Opposition in Bihar Legislative Assembly Tejashwi Yadav has repeatedly alleged that Sushil Modi's family has direct links with the accused in the multi-crore Srijan scam case involving an NGO that allegedly pilfered funds meant for government welfare schemes. "Sushil Modi's sister Rekha Modi and niece Urvashi Modi received crores of rupees from Srijan scam," the former Bihar Deputy Chief Minister had said earlier this year in a series of tweets, attaching the statement of Srijan Mahila Vikas Sahyog Samiti Ltd's Indian Bank's Bhagalpur branch account in which few transactions showed the names of Rekha Modi and Urvashi Modi. However, Sushil Modi had claimed that he had no relation with Rekha Modi. The Srijan scam involves Bhagalpur-based NGO Srijan Mahila Vikas Sahyog Samiti Ltd, which used to provide vocational training to women. The NGO allegedly pilfered funds meant for government welfare schemes from the bank accounts of the Bhagalpur district administration. Nitish Kumar had on August 18, 2017 recommended a CBI probe into the scam after RJD chief Lalu Prasad accused him of "murdering democracy" in Bihar. In August last year, the CBI registered 10 cases related to the scam and filed four fresh cases in June this year.